Funeral services for Robert Andrew Rogan, Sr. were conducted Monday morning, October 20, 2014 at 11 am from the Chapel of the Taylor Funeral Home with Father Mathew Perumpally officiating. Interment followed at the Middle Tennessee Veterans Cemetery at 1 pm with full military honors. Mr. Rogan died peacefully Oct. 15, 2014 at his home. Born in Chicago, IL , he was the son of the late William H. and Florence Jones Rogan. 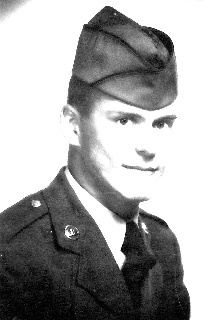 He proudly served his country in the USAF and retired with 23 years of service to his country. He later worked for the City of Dickson, the water treatment plant, for some 20 years. He attended the St. Christopher's Catholic Church. He was a member of the VFW, Sensing Post 4641, member of the American Legion, and member of the Vietnam Veterans of America Chapter 950. Those desiring Memorials may be made to St. Christopher's or to the Vietnam Veterans of America. Survivors include his wife of 57 years, Virginia Genella Rogan of Dickson,Tn. His Daughter; Andrea Tidwell and her husband, Ronnie of Burn,Tn. His Son; Robert A. Rogan, Jr. and his wife, Tammy of Dickson,Tn. His Grandchildren; Capt. Nicholas Tidwell, Brianna Tidwell, Andrew Rogan, Emily Rogan and Ethan Rogan, four nieces and one nephew.